Hello, I am Gautam. I am a Safai Commando in Samagra. I wake up every day to the smiling faces of my loving wife and my two beautiful daughters Nandini and Naina. They know that their father will soon go out for his work and they would happily anticipate for his arrival at home. There smiles gives me strength because I am on a MISSION to make INDIA clean. An interesting question that is asked to every one once in their life is “what is that one thing that they are proud of?” Many people would answer about their achievement like topper in college, earning huge salary, successful business man. But my answer to this question is,’ I am part of the Samagra Swacch Movement. 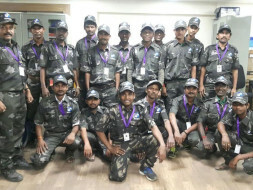 I am part of the Safai Army workforce cleaning 150 toilet locations to make Pune Open Defecation free city. My day at work majorly includes bringing smiles to faces of the urban poor by giving them a clean community toilet. What gives me satisfaction from my work is smile I bring on the mother's face, providing a safe toilet to a girl child, empowering the community towards creating a sustainable environment. 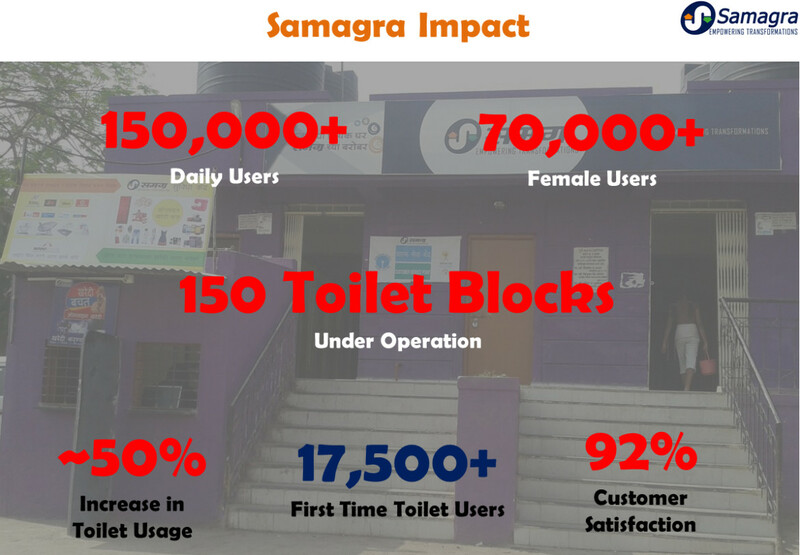 Samagra brings you its award-winning Toilet Design and Operation Model called "LooRewards" through which we provide clean, hygienic and safe toilet access 24 hours a day, 7 days a week to 1 Million users for an ONE TIME INVESTMENT. 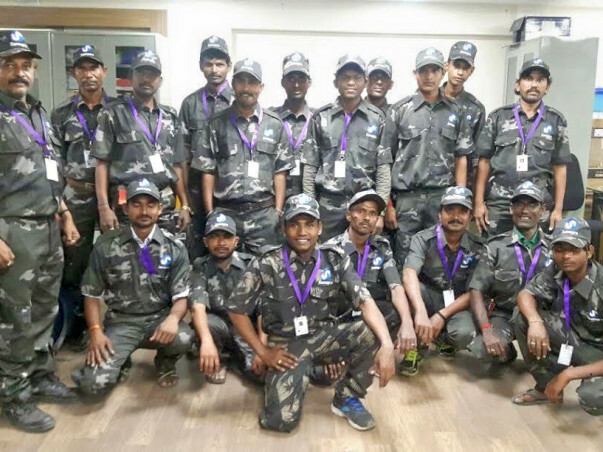 That is why we are raising funds for providing a livelihood to these passionate Safai Sainiks who are 24*7 working towards uplifting lives of the urban poor through awesome sanitation! आखिर मै एक सफाई सैनिक हूँ! वहा की गन्दगी देखकर मन बड़ा विचलित होता है! क्या मै साफ़ कर के सुधार सकता हूँ! आखिर मै एक सफाई सैनिक हूँ!! आखिर मै एक सफाई सैनिक है!! माँ-बहने शौचालय जाने से डरती है! मै एक सफाई सैनिक हूँ!! With your continued support, Samagra has now started scaling its operations across 7 ULBs in India. We aim to impact 250,000 users daily in the next 12 months. With your support, We continue to toil for transformational toilets. With your support we have provided livelihood to 2 Safai Sainiks and have provided them and their families dignified lives. Please circulate this message in your network to enable providing dignified lives to more of those who help keep our Community Loo clean and hygienic. With Your continued support, we have made immense progress in the last 6 months. We have scaled our impact 10 times to 150 Toilet Blocks in over 100 slums of PUNE. Out of these, over 70,000 are female users. Currently, we have over 100 Clean Warriors making sure that these toilets are clean for our users. This YEAR we have set a NEW ambitious GOAL for us. This would mean that EXTRA 200,000 users will have access to our awesome services. BUT we will need 1000 More Clean Warriors to be able to provide awesome services to our users. We will need your support to accomplish this.